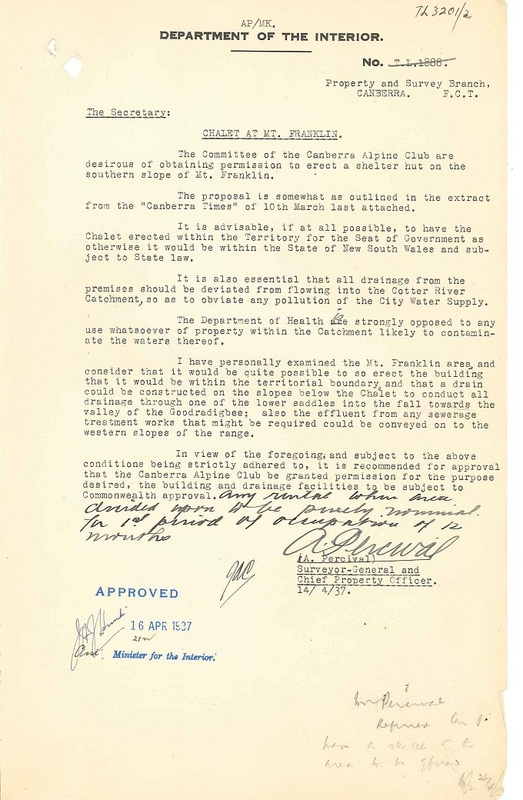 Two files recently uncovered are ‘169/-/2 & 4 - Parks Reserves & Public Places – Liaison – Lands Branch – Cotter River – Canberra Alpine Club – Block 2 & 4 (Mt Franklin Chalet) 1935-1957 parts 1 & 2’. 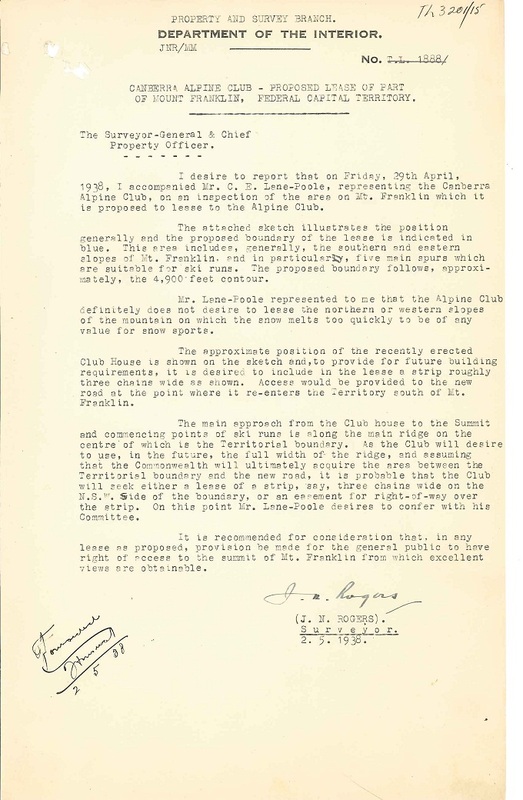 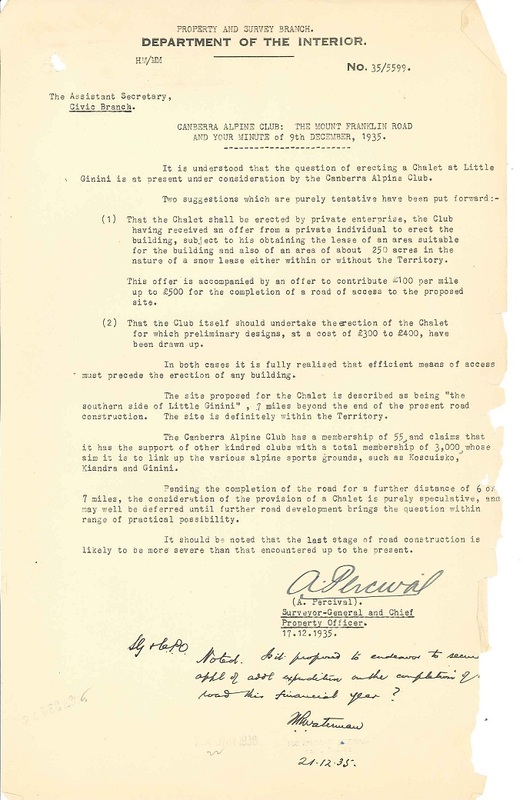 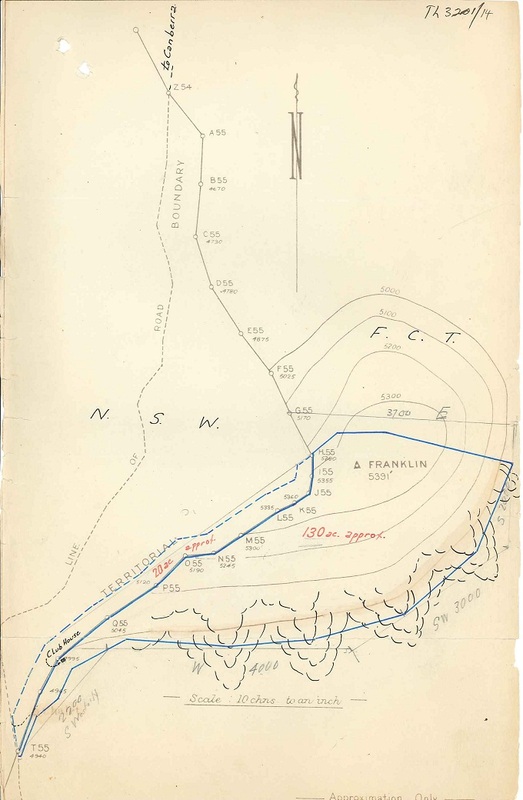 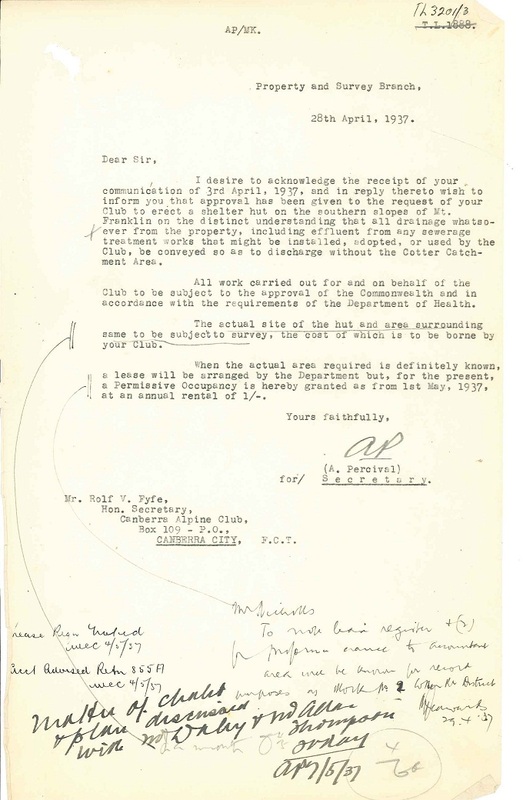 These files document the Canberra Alpine Clubs expeditions to locate a suitable site for a snowfield and chalet, application to lease Cotter River blocks 2 and 4 and renewal of their lease dating to 1985. 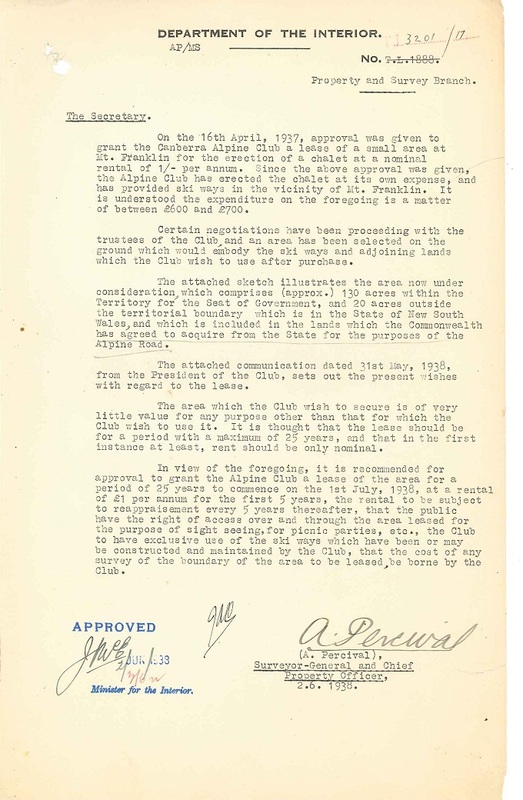 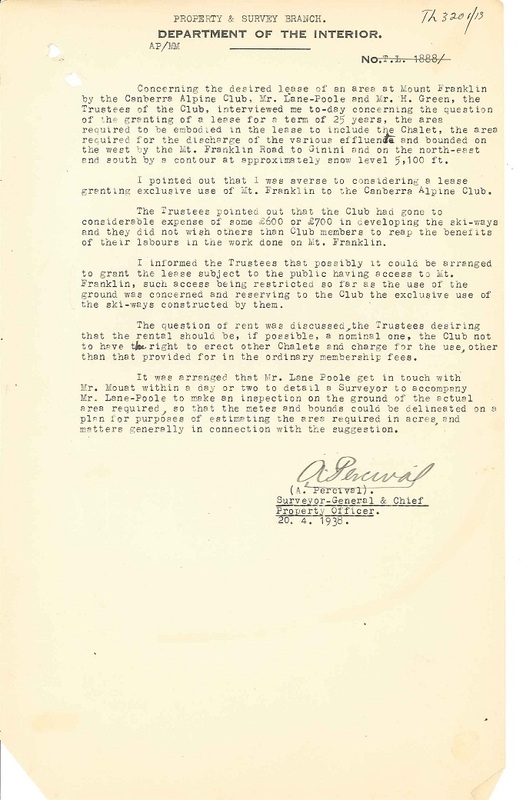 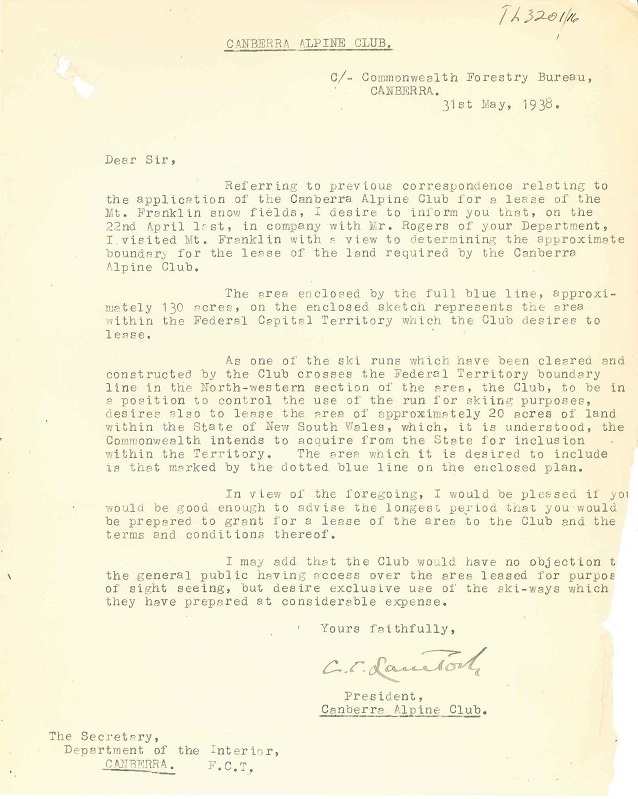 The following scans from the file ‘169/-/2 & 4 - Parks Reserves & Public Places – Liaison – Lands Branch – Cotter River – Canberra Alpine Club – Block 2 & 4 (Mt Franklin Chalet) 1935-1957 part 1' document the initial application for use of the site. 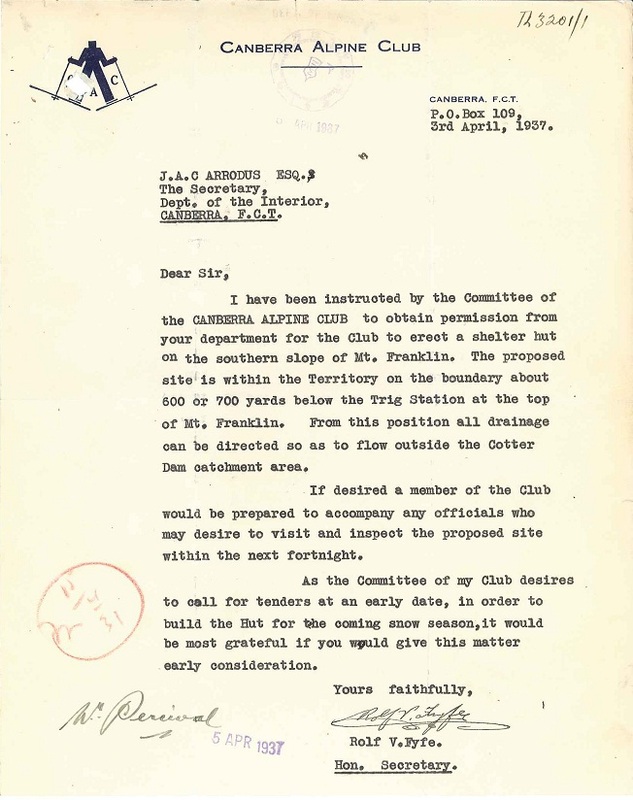 The historic Mount Franklin Chalet was destroyed in the 2003 bushfires and a new shelter built on the site in 2008. 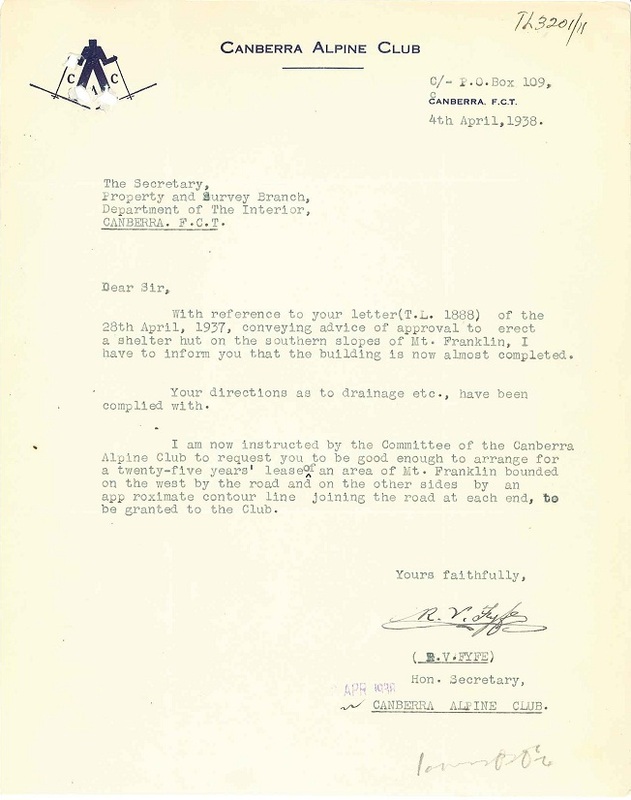 Some of the following internet links include images of the chalet site through this period.